Easter is a wonderful opportunity to share Jesus with friends and family who don’t know him. All it takes to start a conversation about Jesus is to ask someone, ‘How do you normally celebrate Easter?’ We have two services this year: 5pm Good Friday & 10:30am Resurrection Sunday. Why not invite someone to come and join us?! The wait is over… It’s gonna be packed… Let’s do this!! 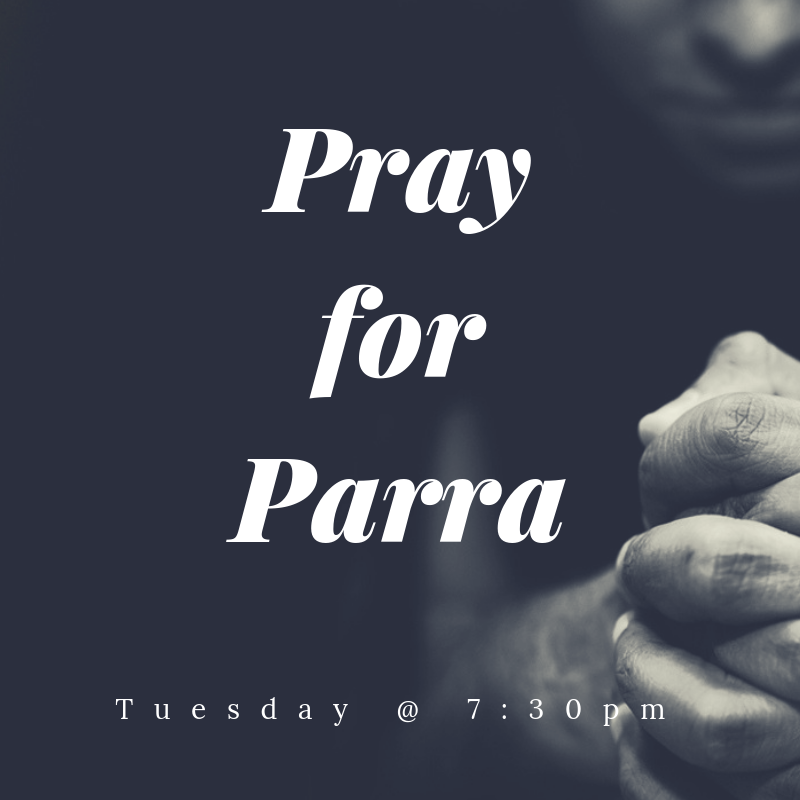 Prayer & Praise Night... Next Week! We believe prayer equals dependence on God. We’re a church that loves to begin every term asking God to meet with us and go before us! Come and join us for our next Prayer and Praise night, Wednesday 24th at the offices. We had a great time on Sunday Morning celebrating the dedication of Lachlan McElhenny, Judah Spring, Sebastian Burnett, Nora Song, Blake, Lewis & Ash Hiley. Church, let’s continue to encourage, pray and care for Sean & Beth, Riley & Maddi, Henry & Alana, Richard & Rebecca & Nik & Bek as they train up their children in the way they should go, and do all we can to support these parents in their divine task of parenting for the glory of God! SG Youth is at Dave & Emma Taylor’s this week for ‘Discipleship Groups’. Please bring your Bible and notebook and come ready to enjoy fun, fellowship and discussion as we continue to learn about what it looks like to sit at the feet of Jesus. Retreat 2019 is nearly here… Please watch out for an email coming your way with all of the details. You are not going to want to miss this!! This week is Missions Week at Sovereign Grace and with Easter just 10 days away it really is the perfect opportunity to start a conversation about Jesus. We’ll be praying for you as a pastoral team as you step out in faith to share Jesus with your friends and family! SG Youth this Friday night at 7:30 PM. What’s happening? Food, Fun & FIRE social night. Where? 29 Exeter Road, Wahroonga. Bring $5.00, friends & a sense of adventure. Sunday Recap: When God Sees More Than Us. This Sunday we continued on with our Exodus series as Pastor Dave Taylor preached from Exodus 13:17–14:31 on Israel’s actual exodus from Egypt. Dave helped us to see that though Israel could see many aspects of God’s work in their deliverance from Egypt including the plagues, the fire and cloud and God’s faithfulness to his promises in the bones of Joseph, they were not expecting the path he chose to take them on! Dave helped us to see from Scripture that whatever the particular pathways of our lives may be; God is always with us, always involved, & always faithful, in each & every step. You can listen online here. We were also blessed to have our Pastoral resident Glen Jones lead us in worship for the first time in what was a wonderful morning! We’re praying that Glen, Donita and the kids would continue to settle into life here with us on the other side of the world! On Sunday we had the incredible privilege and joy of ordaining Patrick Chavez as a Pastor. Patrick is a man of incredible character, holiness and humility, who has proven himself as a very able servant of Christ and steward of the mysteries of God (1 Cor. 4:1). He, his wife and his family, have served our Church in innumerable ways and we are so grateful for them. Please continue to pray for Patrick and his family, that God would use him all the more, and that God would protect them from the evil one! Please also pray that God would send us more ‘Patrick’s’ so that we can have more shepherds to keep watch over our souls! Dave preached from Hebrews 13:17 and spoke of how in the great race of following Jesus, God has given us pastors to help us make it to the end! Pastors are called to: lead, nourish, equip, protect and serve the Church. As members we are called to follow our Pastors with faith and openness. The message will be on podcast later this week, check it out! Youth this week is at the offices 7:30-9:30pm, for a Hot Topic! Brendan will be preaching on the topic: “Sitting At The Feet Of Jesus”. There will be snacks and games, $3. See you there! This Friday marks just three weeks until Good Friday! It’s a date that so easily comes and goes on our calendar and yet it really is one of our key opportunities to share Jesus with others in Sydney. Different from the USA, Aussies are most likely to search for ‘Jesus’ on Google in March in the lead up to Easter. Yet without a clear plan we can so easily let Easter come and go without making the most of the opportunity! What could you do to start preparing now for Easter 2019? Could you host a GC dinner and invite your neighbours to join? 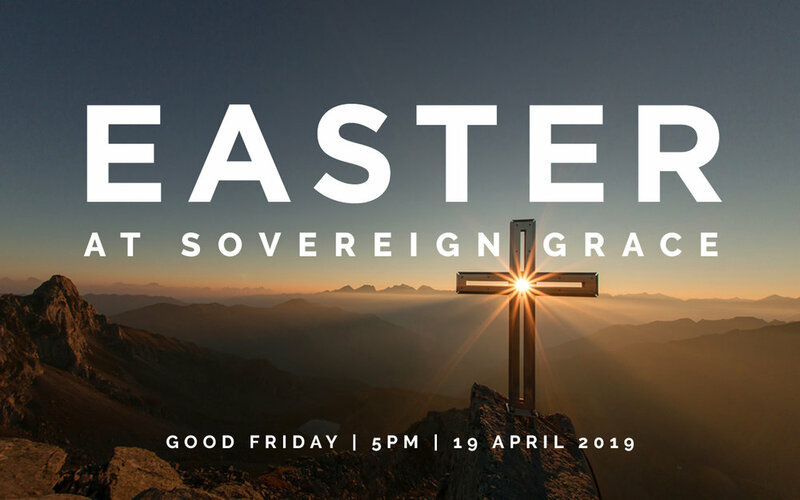 Could you invite your colleagues at work to our Good Friday service? Could you get involved with our Eggs on the Oval celebration in Waitara? Here’s a great article from Saturate with some more ideas you could explore. 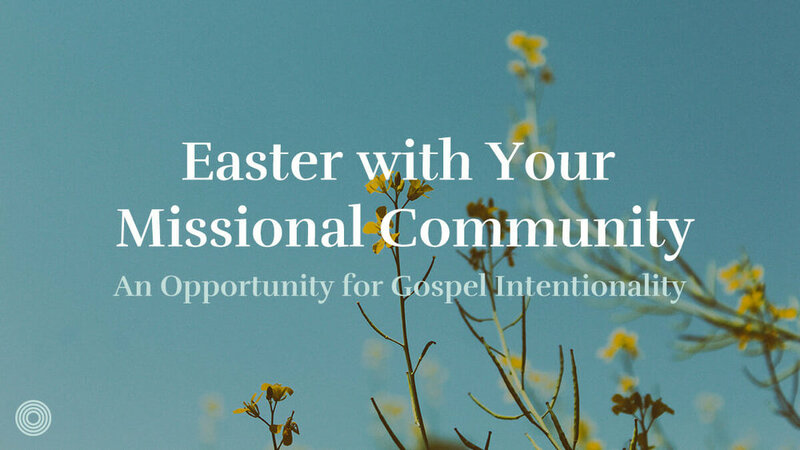 Easter is a wonderful opportunity and we’ll be praying for courage to boldly share Jesus. Christ commanded that all His followers are to be baptized in the name of the Father, Son, and Holy Spirit (Matt. 28:19) as a sign of the inward reality that has taken place in their life. They have died to sin with Christ (going under the water) and have arisen to new life in Christ (coming up out of the water), they are now a child of God and are linked with Him! It is a God-ordained means of grace and a wonderful opportunity to publicly testify that you are a follower of Jesus. If you haven’t yet been baptized, or were baptized as an infant, would you consider being baptized this Easter Sunday? If you would like to do this, please email Brendan at bw@sovgrace.org.au, so that we can organize our short baptism class in order to best prepare you for what baptism is. Our CAP Debt Centre Is At Capacity! Almost four months into the year and our Hornsby CAP Debt Centre is running at full capacity! We are currently supporting 2 new clients every month which is very encouraging! People form all walks of life come to us and seek support with their unmanageable debts. There are often many tears and we regularly listen to heartbreaking stories of grief and loss, sickness, addictions, relationship breakdowns and all sorts of hardships. How good is it that we can offer prayer and share the glorious news of the gospel with our clients! Pointing our clients to the One who has cancelled all their debts is such a privilege and it is actually the only real hope for the people who walk through our doors. Combining this real hope with practical support is what our calling as a local church and our debt centre is all about. Offering clients support with managing their debts has been life changing for the clients we meet. Sometimes it is literally lifesaving! Unfortunately, a number of CAP clients have contemplated and some even attempted suicide. This is to show how devastating debts can be and how it can affect a person’s life. This reminds me of one client in particular who I met and who felt like it was not worth living anymore. Debts accumulated, issues with additions became unmanageable, no friends were around, and bills kept coming in. This client worked 7 days a week to meet the expenses and the debt re-payments. But the money just disappeared. There was no hope – no solution and no-one to turn to. 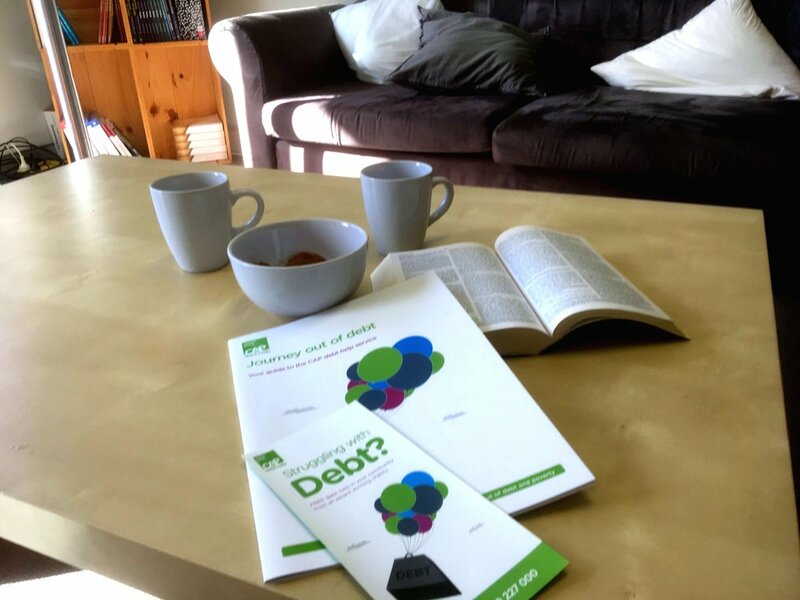 Praise God for his kindness to bring this person to our Debt Centre. I prayed with this client, reminded them of God’s love for them even through they were in this dreadful situation. CAP Head Office was able to help this client with a solution that would manage the debts. This client had actually given up – wanted to die several times. They are now surrounded with supports – from CAP, myself and CAP volunteers who follow them up and befriend them. What a blessing that we can be part of such a great ministry and being the hands and feet of Jesus in our community! Please keep praying for CAP; our centre is currently booked out and we are seeing lots of new clients which is very encouraging. Please pray that these individuals will meet their saviour and also find the practical support their need. And please pray for us as we are supporting these clients either in meetings or by following them up in the community. If you are interested in serving as a CAP volunteer, please contact me: christina.williams@capaust.org.au. Eggs On The Oval 2019... Volunteers Needed!